The US Federal Reserve continued to hike interest rates steadily, while other central banks had kept policy accommodative. The US economy was lifted by the tax cuts announced by President Donald Trump and bullish investor sentiment pushed US stocks higher, at least until the start of October. Reade pointed out that, as risk in emerging economies started to spill over to developed markets, global stocks sold off, led by US tech companies, resulting in short-covering in gold and its price rising comfortably above $1 200/oz. Physical buyers, whether they are in China or India, which together make up half of consumer demand for gold, should continue to prop up demand in 2019, bolstered by good growth in these two important economies, said Reade. He added that technology demand, which has grown steadily over the last eight quarters, should continue to perform well as the world becomes ever-more connected digitally. Central banks, whose collective buying has been one of the standout positive surprises this year, are widely expected to continue to buy gold next year and it is possible that additional central banks will join the list of buyers, as seen this year. All of these sources of demand are not only relevant to gold’s performance next year, but also underpin its long-term performance. “The most important component for near-term price performance, however, will be linked to the activity of investors – whether driven by strategic or tactical reasons. “These investment flows, stemming primarily from the US and European markets, and with China becoming increasingly important, will likely be driven by macroeconomic factors such as perceptions of risk and the direction of interest rates, as well as by momentum and the positioning in the gold market – especially in the US. “If US stocks recover from their current bout of weakness and if the economy continues to outperform the other major economies, the dollar may remain strong and gold may struggle to push significantly higher. Further, if the economic slowdown is rapid or if risk assets fall sharply, investment flows into gold could match those seen during the 2008/9 financial crisis. 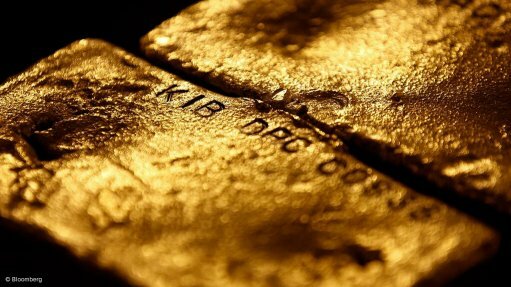 With gold currently trading at less than two-thirds of its all-time high, in contrast to the lofty valuations of US stock markets, the WGC believes now is a good time to consider the role of gold in a portfolio. “As a high-quality, liquid asset, with the potential to deliver strong returns, and as an effective diversifier that works particularly well when other assets fall sharply, gold has historically proven to enhance the long-term performance of investment portfolios,” Reade concluded.